The Vancouver Canucks have added two depth players to their lineup thanks to free agency as they signed both Sam Gagner and Patrick Wiercioch on July 1, according to Pierre LeBrun. The deal is a reported three-year deal worth $9.45 million – an AAV of $3.15 million. It comes after Gagner had a resurgence of sorts with the Blue Jackets following some disappointing post-Oilers years. Gagner will return to Canada after stints in Arizona, Philadelphia and, most recently, Columbus. 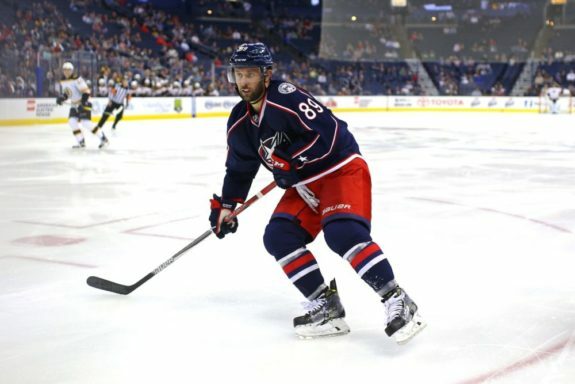 The 27-year-old center is coming off a comeback year in which he scored 18 goals and 50 points in 81 regular season games for the Blue Jackets. He finished a plus-10 on the year, but the real interesting part about it is that he did all of this in limited playing time for the John Tortorella run offence. Gagner averaged just under 14 minutes of ice time in his 81 games this past season, winning 47.5 percent of the draws he took for the club. His 50 points were a career high and the most since he scored 49 in 2007-08 with the Edmonton Oilers – his rookie season. He’s a career 45 percent face-off guy which should bode well for the depth of the Canucks organization behind Henrik Sedin and Bo Horvat. Gagner is headed into his 11th NHL season with his fifth franchise, but has quietly produced over his first decade in the league. In fact, he has 402 points (142 goals and 260 assists) in 696 career regular season games. That’s nearly 0.6 points per game – and remember that was during a tumultuous time for the Oilers. He also brings 11 games of playoff experience, having been to the postseason with the Flyers and Blue Jackets the past two seasons. He has four assists in that span. On top of the Gagner signing, the Canucks also added defenceman Wiercioch signing him to a one-year deal worth a reported $650,000. The 26-year-old defender made his debut in the NHL in 2010-11 with the Ottawa Senators and spent five seasons in the nation’s capital before joining the Colorado Avalanche for the 2016-17 season. He’s coming off a year in which he played 57 games for a disappointing Avalanche team adding four goals and 12 points over that span. In his career, he has 74 points (16 goals and 58 assists) in 268 career games. Known more so for his defensive play, he averages nearly a hit and blocked shot per game over his NHL career.